Feeling fancy? Join us at this beautiful establishment for an evening of fine dining and dancing. 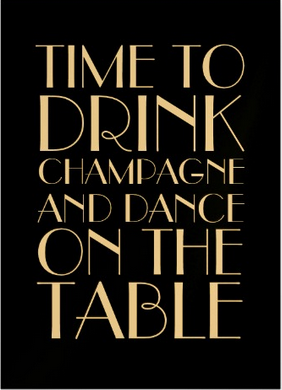 We’ll transport you to the roaring 20’s for an evening of opulence and delight! Catch us every last Sunday of the month at Balluchon! 221 Sorauren Ave! 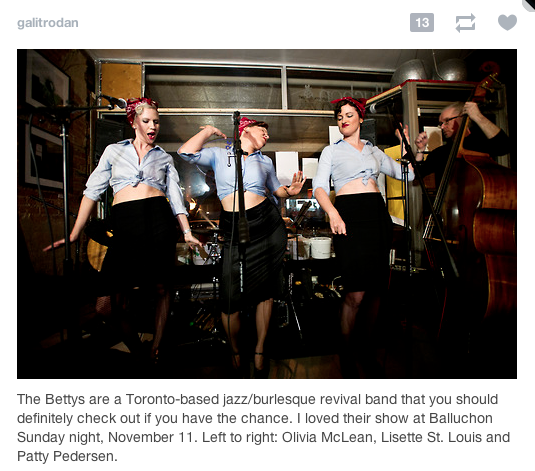 Add a little harmony to your lunch hour Dec 5th at 1:00pm and join The Bettys for a 30min office concert at The Toronto Fringe Open House. Come delight your whistle and wet your ears with some sweet sweet harmony at the Roncevalles’ classy-rustic cafe – Balluchon. 221 Sorauren Ave. Toronto Ont.